Also serving communities of Lanham, Upper Marlboro. There are 17 Memory Care Facilities in the Bowie area, with 3 in Bowie and 14 nearby. The average cost of memory care in Bowie is $4,954 per month. This is higher than the national median of $4,650. Cheaper nearby regions include Arlington with an average starting cost of $4,680. To help you with your search, browse the 23 reviews below for memory care facilities in Bowie. Better rated regions include Annapolis with an average rating of 4.0 out of 5 stars. Caring.com has helped thousands of families find high-quality senior care. To speak with one of our Family Advisors about memory care options and costs in Bowie, call (855) 863-8283. Promotion ends in 35 days! Maryland is home to world class dementia clinics, including the Memory Disorders Clinic at John Hopkins Hospital, which cater to the state's 110,000 residents with Alzheimer's disease.In Bowie, where over 14 percent of residents are aged over 65, numerous memory care facilities accommodate people with dementia. Assisted living facilities with Alzheimer's special care units must provide specialized dementia training to all staff. These facilities are licensed and monitored by Maryland's Department of Health. The air quality in Prince George's County, including Bowie, is mixed. The city received an A grade for particle pollution in the State of the Air 2018 report and a failing grade for ozone pollution. Families whose loved one has a respiratory condition may wish to investigate how the air quality in the city will impact their loved one's health. The Sperling cost of living index rates Bowie's cost of living at 143.5, over 40 points higher than the national average of 100. This is mainly due to the high cost of housing, but prices of daily essentials, including groceries, transport and healthcare are also higher than the US average. This may mean that less money is available for memory care. Bowie has cold winters, with an average low temperature in January of 24 degrees. The city gets around 14 inches of snow each year, which is 12 inches less than the national average. The city can also be wet, with an average of 43 inches of rain each year, higher than the US average of 39. When touring facilities, it's a good idea to ask staff how they keep residents safe during extreme weather. Bowie's crime rate of 16 per 1,000 residents is close to the national average for all towns and cities in America and is lower than 49 percent of Maryland communities. Violent crime occurs at a rate of 1.58, significantly less than the state average of 5, and the property crime rate is 14.12, around eight points lower than the state average of 22.22. This may be reassuring for safety-conscious families concerned with their loved one's safety. Memory Care costs in Bowie start around $4,954 per month on average, while the nationwide average cost of memory care is $4,798 per month. It’s important to note that memory care rates in Bowie and the surrounding suburbs can vary widely based on factors such as location, the level of care needed, apartment size and the types of amenities offered at each community. Bowie and the surrounding area are home to numerous government agencies and non-profit organizations offering help for seniors searching for or currently residing in an assisted living community. These organizations can also provide assistance in a number of other eldercare services such as geriatric care management, elder law advice, estate planning, finding home care and health and wellness programs. To see a list of free memory care resources in Bowie, please visit our Assisted Living in Maryland page. 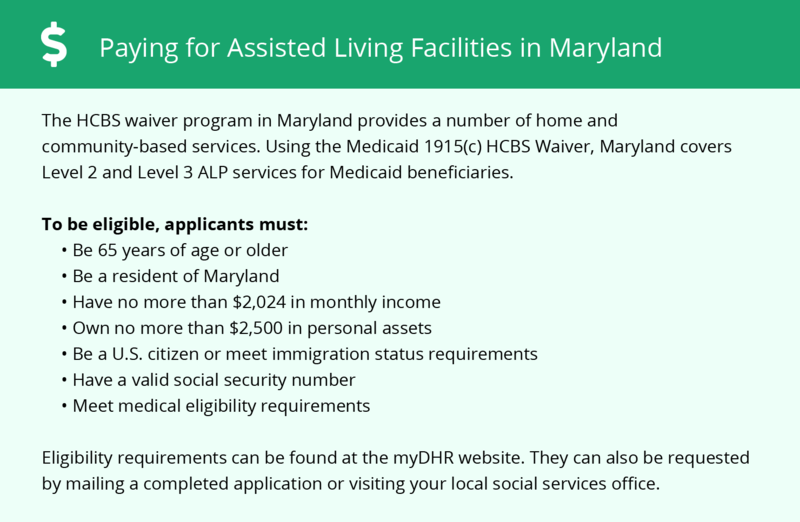 Bowie-area assisted living communities must adhere to the comprehensive set of state laws and regulations that all assisted living communities in Maryland are required to follow. 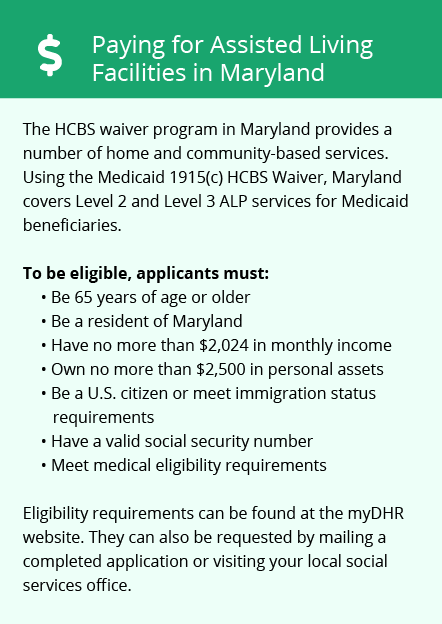 Visit our Memory Care in Maryland page for more information about these laws.